Martti Talvela Interview with Bruce Duffie . 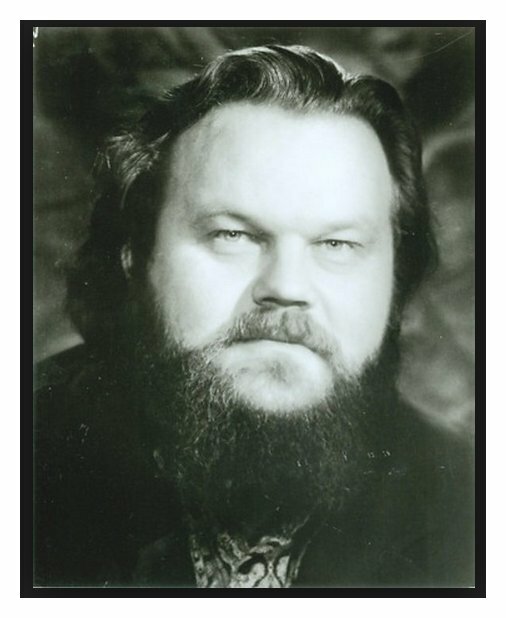 . . . . . . . .
Martti Talvela, a Finnish bass who appeared regularly at the Metropolitan Opera and was the director-designate of the Finnish National Opera, died on Saturday after suffering a heart attack at his daughter's wedding on his farm in Juva, Finland. He was 54 years old. 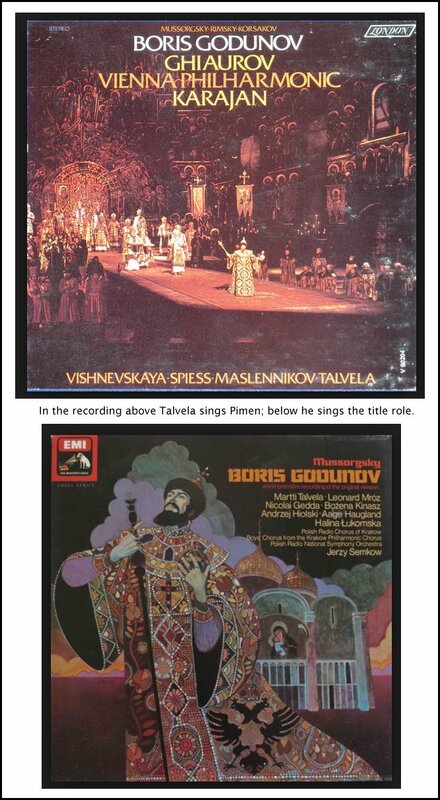 Mr. Talvela was most highly regarded in the Russian operatic repertory, and was considered a peerless interpreter of the title role in Modest Mussorgsky's ''Boris Godunov,'' which he sang many times at the Metropolitan Opera. He also enjoyed considerable success as Dosifei in the Met's production of Mussorgsky's ''Khovanshchina'' in recent seasons. 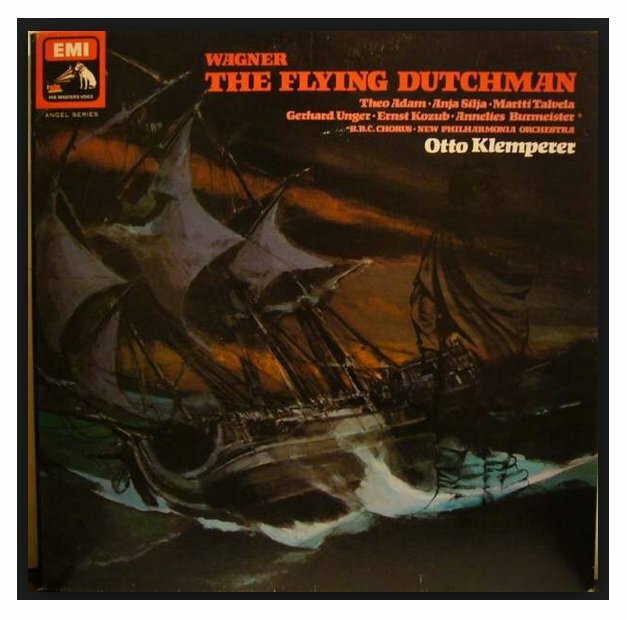 But his repertory also encompassed the Wagner operas - he was noted for his portrayals of King Marke in ''Tristan und Isolde,'' Gurnemanz in ''Parsifal'' and Daland in ''The Flying Dutchman'' -as well as several Verdi and Mozart roles. His physical stature made him a natural for the mythical roles that were his specialty. He stood 6 feet 7 inches tall, and weighed close to 300 pounds. The singer was born in Hiitola, Finland, on Feb. 4, 1935, the eighth of 10 children in a family of farmers and amateur singers. He earned his first singing fee at the age of 5, and became interested in opera after hearing a performance by the Russian bass Ivan Petrov, as Boris. In 1958, after completing his college studies in Savonlinna, and working for a few years as a schoolmaster, he entered the Lahti Academy of Music to pursue formal voice studies. 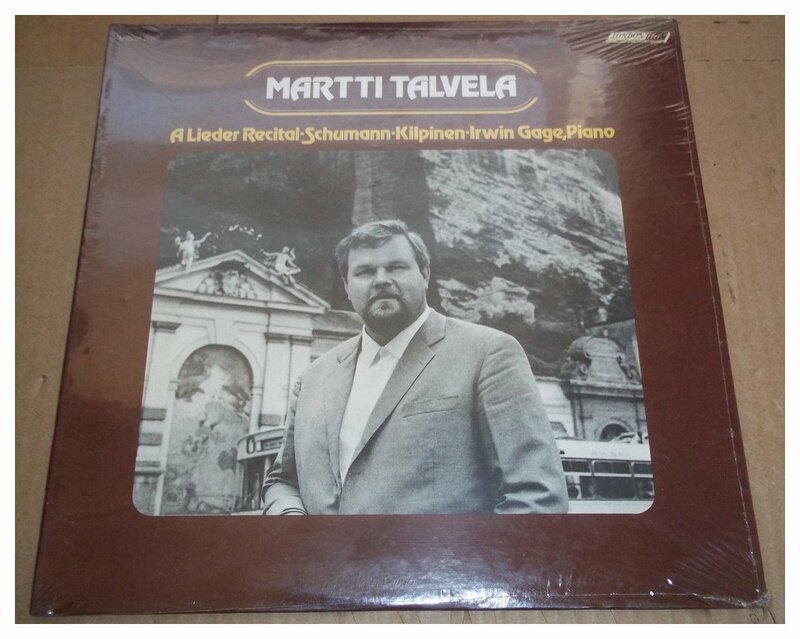 In January 1960, he won first prize in a lieder competition in Helsinki, and went to Stockholm to continue his studies with Carl Martin Ohmann. The following year he made his debut, as Sparafucile in Verdi's ''Rigoletto,'' at the Swedish National Opera. Wieland Wagner, the composer's grandson and a noted stage director, heard one of Mr. Talvela's early performances and invited him to appear at Bayreuth in 1962. 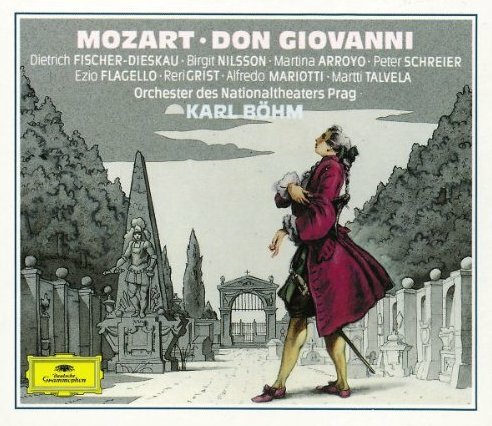 In 1963, he made his debut with the Deutsche Oper, in Berlin, and toured Japan with that company as Seneca in Monteverdi's ''Incoronazione di Poppea.'' By 1965, he had made debuts at La Scala, in Milan, and at the Vienna State Opera, and was performing regularly at Bayreuth and Salzburg. Mr. Talvela made his American debut with a recital at Hunter College in 1968, and with performances at the Metropolitan Opera that same year. From 1972 to 1980, he was the director of the Savonlinna Festival, where he worked steadfastly to promote the cause of opera in Finland, both by performing standard repertory works in Finnish, and by encouraging Finnish composers to write for him and for the festival. He was to become the director of the Finnish National Opera in 1992. Being a work without intermission, the entire cast of singers came onstage at the very beginning. It was an impressive line of artists, but what struck me then — and remains with me to this day — was watching the procession come through the door. From the back and to the side of the stage, each walked nobly through the violins to their seats at the front. To get beyond the stage door, they had to pass under a small structural overhang where the chorus was seated behind the orchestra. Soloists and conductors came from this space all the time for their performances, and as these particular singers entered, they were in an appropriate order to be with the others with whom they would interact in Wagner’s music drama. In the midst of the group were the two giants, Fafner and Fasolt, played by Hans Sotin and Martti Talvela. Sotin was a large man himself, and as he walked through and Talvela followed, each appeared to be about the same height. It wasn’t until a few paces after they had cleared the overhang that Talvela stood fully erect and quite literally towered over the other giant — as well as everyone else! The audience was applauding the entire cast, but I did notice an audible gasp as Talvela straightened himself. 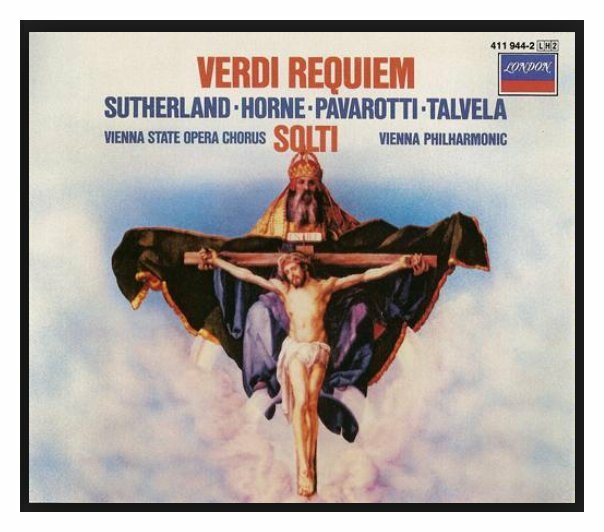 Solti worked with Talvela on several occasions both in Chicago and in Europe. Performances and recordings attest to their relationship, and in the interview that follows, the bass remarks on their camaraderie. Though leaving this world much too early, Talvela made his mark and gave us impressive performances both on the stage and in recital. His recordings will live on as a testament to an unflagging artistry and superb musicianship. Knowing that he was not coming back to Chicago very soon, I made contact with him early in 1986, and he agreed to let me call him on the telephone between performances at the Met in New York City. His English was quite good, but I have straightened out awkward phrases, and have eliminated the hesitancies where he would search for a word and often ask me if it was correct. His thoughts came through very well, and that is what has been rendered here . . . . . . . . .
Bruce Duffie: Right now you’re involved with Parsifal at the Met, so let us start there. You’ve made quite a name for yourself as a Wagner singer. 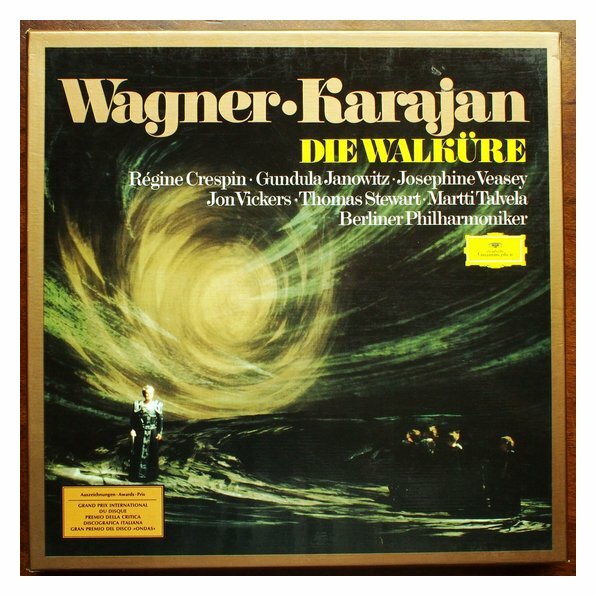 Is that special to you singing the various Wagner roles? Martti Talvela: I don’t think so anymore. 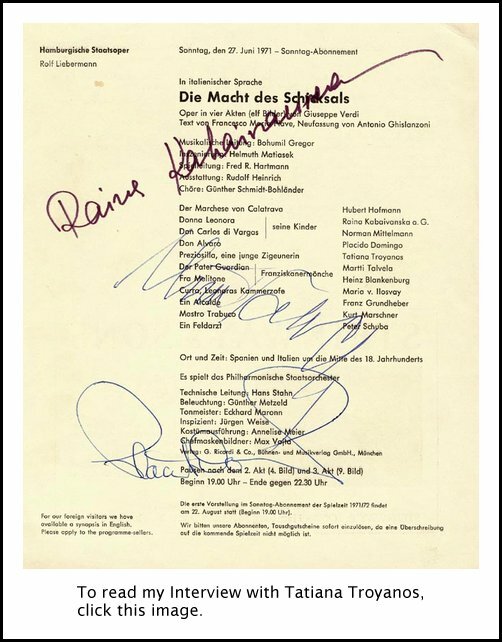 There was a time when I was working with Wieland Wagner in Bayreuth, and there I have been marked as a Wagner singer, but I do sing the whole bass repertory, except Strauss. 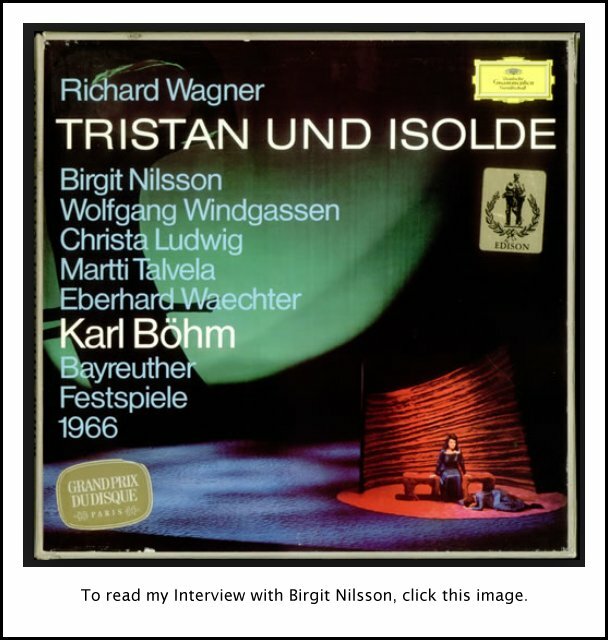 I have very few houses in which I sing — Deutsche Oper Berlin, Metropolitan, little bit in Hamburg and Munich — and I do really sing the whole group of heavy roles, like Boris, Dosifey, and Wagner’s Parsifal and Tristan and Flying Dutchman. I have done all the Wagner roles but, at the moment, I am more interested to do those very big roles. MT: Since I have done just about the whole bass repertory, I now need to have a role where I have a big message to bring. This is the main point. Do you understand me? Sometimes I make a joke — like doing Kecal in Bartered Bride, or something like that — but otherwise I like to do those roles like Philip, Boris, Gurnemanz and King Marke because they have the largest artistic message for a bass at the opera. BD: You don’t ever have any wishes that you were a tenor so that you could sing more different roles? MT: [Laughs] I can sing in my repertory — Sarastro, Osmin, Simon Boccanegra or Forza del Destino, but I would prefer to sing those very big roles. BD: Did Wagner write well for the bass voice? MT: Absolutely. There’s no problem except that a bass always would like to sing Wotan also. MT: The phrasing is beautiful, but the role is about a third too high! 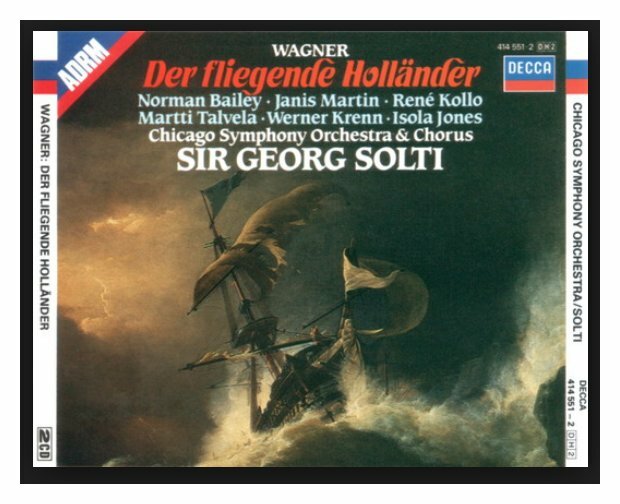 At home I sometimes sing Wotan’s Abschied, but all those real bass roles are written fantastically. BD: What is it about the writing that sets it aside from some of the other composers? MT: For Gurnemanz, especially in the third act, and for King Marke, the writing is so difficult. That makes it interesting. Daland is so easy and the line is so easy to sing. Parsifal is so, so long. The part’s about one hour forty minutes of singing, but it is written easy. The most difficult role is King Marke, to make the pitch clean and everything. But it is so interesting to make the difference. For instance, with Gurnemanz, in the first act, Wagner says he is a valiant but older man. He’s a man about fifty, and then for the third act Wagner says many years have passed. BD: So you have to make him a very old man! MT: No. Sometimes people don’t understand. They think that this singer is tired, but it is the role which is tired. It’s easy to sing it loud, but it is the deepest depression that I ever learned in my life. There’s no hope in this situation. BD: You have to convey that on the stage? MT: That’s what I try to do, and it can be misunderstood. The audience is thinking now he’s lost his voice or something. It has nothing to do with this. It’s written so fantastically for the voice, one can only be better through the evening. But the character of Gurnemanz has to be made carefully with thinking and knowing. This is, in my opinion, the only way to do it, to make it a really big, big depression with no hope left. He’s out of hope for everything. There’s nothing left for them anymore in this world, and then he notices that Parsifal really is the new king. Then he comes back to life again. MT: Yes. So this is how we speak about Gurnemanz. BD: Is the part too long? MT: Not really, but I have to prepare myself very well for this, doing nothing in the evening before. It’s a long evening. We have only one role bigger than Gurnemanz for a bass, and it’s Ivan Susanin in A Life for a Tsar. BD: When you’re on stage, are you portraying a character or do you become the character. BD: You have to get away from it. MT: Yes! Then, maybe one year later I begin to think where is he? Is he coming? I can see it in my calendar that he’s coming back! BD: When you get back to the dressing room after the performance, how long does it take before you shake off the character and are again Martti Talvela? MT: [Laughs] Well, not so long because my friends or my family members are coming in my dressing room. But even so, after those big roles like Gurnemanz and Boris and Philip, I’m very tired many, many hours after the performances, so I sleep or watch TV or read something. That’s the kind of tiredness. BD: It’s a good tiredness? MT: I think so. And I have a good glass of wine! BD: Tell me about King Marke. MT: We had a new production with Götz Friedrich in Berlin at the Deutsche Oper just a couple of years ago. It went very successfully, and at the first rehearsal we sat down together beginning to think about the situation between Tristan and King Marke. We found out that the most tragic point in this relationship was that they could sit down on the river, telling nothing, just being quiet, making ripples with the stones in the water. They were thinking, not saying anything but understandingly everything. This was the point later when King Marke says to Melot, “Tatest du's wirklich? Wähnst du das? Sieh ihn dort, den treuesten aller Treuen.” [Have you indeed? Is that what you think? Look at him there, the most faithful of the loyal.] King Marke is already dead at that point because he lost everything. BD: It’s the spirit within him that is dead? MT: Yes! His spirit is dead. He cannot go on. He is only remembering, looking back in his big monologue — which he sings without any bitterness. It’s the very, very big, huge question. “Why can I not understand you? Why can I not understand anything in this world anymore?” This makes him a very, very unusual character, very deep. BD: When you’re preparing these roles, do you go back to the letters and other documents of the composer, or do you work only with the score. MT: This is the basic work, always. Then by all those routes you see what really happened, and after learning that you go ahead with learning. 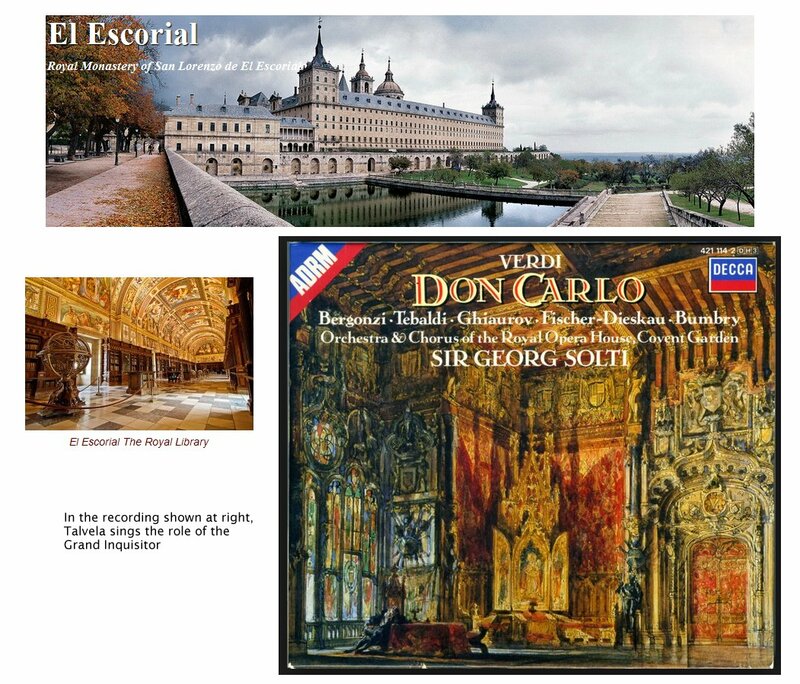 For example, I had done King Philip maybe fifty or sixty times already before I had the possibility to visit Escorial. [The Escorial is a vast building complex located in San Lorenzo de El Escorial, near Madrid, in central Spain. The building is the most important architectural monument of the Spanish Renaissance. Construction began in 1563 and ended in 1584. The project was conceived by King Philip II, who wanted a building to serve the multiple purposes of a burial place for his father, Holy Roman emperor Charles V; a Hieronymite monastery; and a palace.] Then I saw Escorial alone with the guide for five hours. It’s really a short time, but I used the time to learn about Philip’s private life, or what it could have been. One week later I had a performance in the Vienna State Opera as Philip, and I think it was something different than before, though I don’t know what. The whole life is a learning process, you see. To read my Interview with Nicolai Ghiaurov, click HERE. To read my Interview with Grace Bumbry, click HERE. BD: So then you’re always developing these roles? MT: Yes, those main roles with the big message. BD: Could King Marke have possibly been happy with his Isolde if she had not had the liaison with Tristan? MT: I don’t think so. It’s a marriage at a royal level. He was preparing Tristan to be the next king after himself. For reasons of State he had to do this marriage, because of his government but not for himself. He denies this totally in his big monologue, but I think so. BD: So perhaps then he would be perfectly willing for Tristan to marry the widow, Isolde? MT: [Laughs] I think you are going too far with this. Perhaps we should open a marriage office or something! 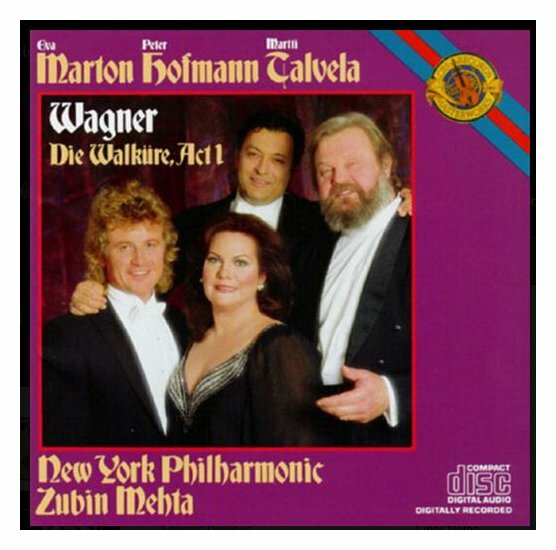 [Both have a huge laugh] With all this talk of Wagner it too difficult to have to make it real. BD: Well, are the characters that you sing, real people? MT: The feelings are much deeper than real people have... or then maybe I misunderstand real people a little bit. As a normal man, I can’t think the way King Marke thinks. Maybe he’s the only one person who has this mystical thinking after what happened in the scene in the first act. After that he will be the only one who cannot get out of his mystical background and his deep human thinking because Tristan has this potion. He is not normal anymore after that. He’s not acting normally until the last act. BD: You sing in a number of different houses. Does the size of each different house cause you to change anything vocally or histrionically? MT: It shouldn’t. It would be wrong. What is happening is on stage. Here at the Met we have about 4,000 people, and you generally have 2,000. You have always to remember the percentage on stage, not in the hall. Some halls are really better acoustically but you shouldn’t change. You use the same technique, and the same thought of what you sing of the role should be there. BD: Do you sing any of your roles anymore in translation? MT: Well, let me think! Perhaps the Bartered Bride. I do really sing Boris in three languages — Russian, German and Finnish. BD: Do you work any harder at your diction when you know the audience is going to understand every word? MT: I was very happy reading a critic in Moscow after singing at the Bolshoi, that my Russian was excellent! Very few times I’ve been very happy about critics. It was nice because this is really a hard work to learn in nearly perfect Russian without being Russian. As you are getting older, learning languages and learning roles and everything needs more work. I just spoke today with my wife and wondered why we don’t use two hours every day to learn English better! When you do roles like Boris, you have to rest after the role as well as before. BD: Do you feel then that opera works in translation, or should it always be in the original? MT: It depends absolutely what the situation is, you see. In a country like Finland, about ten years ago, when we began to do grand opera at the Festival of Savonlinna, we did it in translations. Then we experimented by doing Don Carlos the same summer in two languages — Italian and Finnish. The year after that, we were absolutely sure it is better to do it only in Italian, and we did it with great success. But practically always I do sing in such big houses that they always used to the original language for any opera. Only at home I used to sing in translation, and maybe very new operas should use translations in the beginning. MT: I think it worked for Elektra with Böhm. It worked very well because it was made well, and presented well. The Metropolitan is working on Boris Godunov for next season. I hope it comes because you can maybe reach many millions of people who never had seen opera. [Talvela sang several performances of Boris at the Met during that 1986-87 season (including the radio broadcast), but there was no televised performance.] But of course the best thing is to go the opera, sit down and listen and enjoy the whole richness of the art in the theater. BD: Sure. It has to be the melding of all the spectacle onstage. BD: Boris Godunov is a role you enjoy singing, yet you said you put it aside for a while and were glad to be away from it. MT: You have to do it with all those roles. You do it with Parsifal automatically. When Boris comes, it is a series of six or ten performances. Parsifal always comes with five for a small series. But I like Boris Godunov very much indeed. I joked that Mussorgsky with Boris has paid for my house! [Laughs] Even so, his music for me is something absolutely in the top. I was very happy to tell months ago on the Soviet Union News. The reason was twenty-five years of cultural agreement between the Soviet Union and Finland. For me, Mussorgsky is the greatest. His musical language is absolutely mine. I don’t know how I came to be touched by his music, but I have done his song-cycle Songs and Dances of Death maybe in sixty recitals. I have recorded it, and now I make a very, very great thing — I let them make a new orchestration for Songs and Dances of Death. It is by a Finnish composer, Kalevi Aho, and is based on the original version of Mussorgsky in the Paul Lamm edition. Now it is here and I’ve recorded it! I just came back from Berlin where I made it for Berlin Radio Symphony Orchestra. Two years ago I did it with Neville Marriner and the Minneapolis Symphony. I think this one works fantastically. BD: This brings up the whole business of the versions of Boris Godunov. MT: That’s right. I have done all those. I used to joke that I did on Monday in Leningrad the original version, and Friday at the Bolshoi Rimsky Korsakov! [Both laugh] I believe in those words of Rimsky-Korsakov. He said, “I’m not going to paint those pictures of Mussorgsky, of Boris Godunov, for all time, but only for my time to bring the work out.” I think the time is now to use Mussorgsky’s original version. In my opinion he is the modern composer for our time! There’s no reason to use the Rimsky any more. 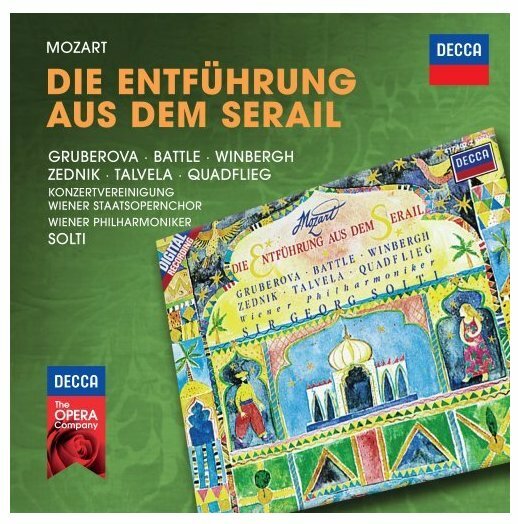 In Berlin we have the Shostakovich version, but this is very close to Mussorgsky’s original. Rimsky is very different. MT: Maybe, but it depends what we think about colors. BD: I have liked the richness of the colors in the Rimsky version. MT: Yes, but the richness can be empty, also. Of course, Rimsky Korsakov was a great musician and composer, but we should believe his own words in this case. BD: He expected his version to be used and discarded? MT: Yes, to bring the work out! BD: You’ve made quite a number of recordings, including Boris Godunov. Are you pleased with your voice on records? BD: Did he seem pleased with it? MT: He was very pleased with the whole thing. He worked so hard. He’s a fanatical worker and we had a very fruitful time. I can be very happy because I am fifty-one years old and can still learn. I learned a lot from him. 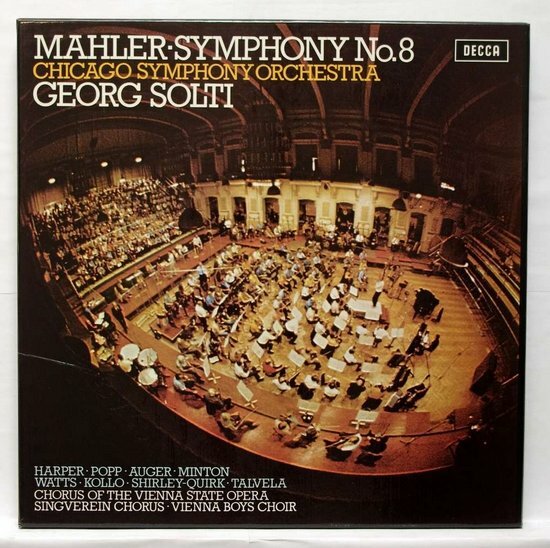 Before this recording was a new production which Karl Böhm conducted in Munich maybe five years ago. BD: Is there a special secret about singing Mozart? MT: If I should have a higher voice, a bass-baritone, then I would like to do the work like Ezio Pinza and sing Figaro and so on. 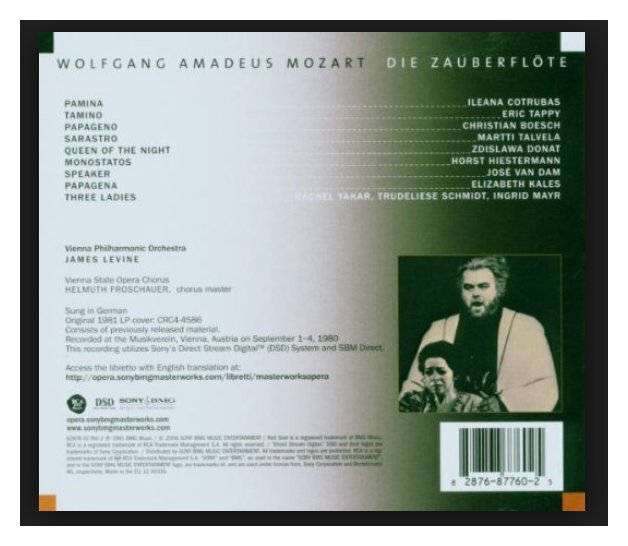 But now, what shall I do with Mozart except Concert Arias and The Magic Flute? I have done Sarastro maybe two hundred times or more. But then what else? There is only Osmin and Commendatore! He has really only those three bass roles, so I have done them very often. To read my Interview with C(h)ristina Deutekom, click HERE. To read my Interview with Hermann Prey, click HERE. To read my Interview with Ileana Cotrubas, click HERE. To read my Interview with Jose Van Dam, click HERE. To read my Interivew with James Levine, click HERE. To read my Interview with Martina Arroyo, click HERE. To read my Interview with Peter Schreier, click HERE. To read my Interviews with Gösta Winbergh, click HERE. BD: You’re not sorry that you have done them two hundred times, are you? MT: No, not at all! I do them still. This past year was my last year at the Salzburg Festival. It had been seven years now. It’s the largest success in the history of the Salzburg Festival, this Magic Flute with Jimmy Levine and Jean-Pierre Ponnelle. But I thought after seven years I told Jimmy and Jean-Pierre I would like to be at home in the summer time! Salzburg is really beautiful, but my home country is fantastic at that time. So seven years is enough. Maybe I’m coming back some day, but I am very happy to know that this summer I can be at home three months. BD: After seven years, we call it a sabbatical! BD: Do you purposely build times into your schedule when you do not accept engagements, so that you can be at home with your wife and family? MT: Yes, I try to do that, but always we have some important things coming up so I can’t say no. I feel it’s so important... For instance, I’m going next summer, in July when I do usually not sing anything, to Israel for Babi Yar six times with Zubin Mehta. This is a fantastic work, as you know, and it’s very difficult. I learned it for Montreal about six years ago, but I was ill at that time and had to cancel a couple of months of my traveling. Now finally I can do it. MT: Yes. I did a concert version of Ivan Susannin in New York, and I would like to do it on stage somewhere, but I don’t know if there’s any houses doing it except in Soviet Union. No one does it in the Western World. I would like to do it. It’s beautiful music, and absolutely unknown here. BD: Do you enjoy doing recitals with piano? MT: Absolutely! I’ve done about two hundred in the whole world. BD: It’s so different from being on stage in an opera or concert with an orchestra! BD: So in the difficulty comes the reward? MT: Yes, that’s right. It is absolutely so. BD: Tell me about your Festival in Finland. MT: Yes, the Savonlinna Festival. It has been a beautiful time because so many new Finnish works also came. Our composers were enthusiastic about the possibility of two great operas that we did. I had parts on the recording with several of those, and after so many years and foreign names in Germany, Italy, France, and America, to come back to Finland and build up something unusual was a great time for me. But then after eight years, I had to quit because if I go ahead with this festival it’s a full-day job, and then I will lose my international career. So that was the thinking. I had a good friend, a good musician who led it a couple of years, but he died. The Festival is now very strong and going well. Many of my ideas from my time are in place, for instance to bring the best pianists in the world to work with singers in the opera. One of the most important points for a singer is daily work with a pianist. BD: But it must be with a pianist who understands! BD: It means there’s a great interest then! 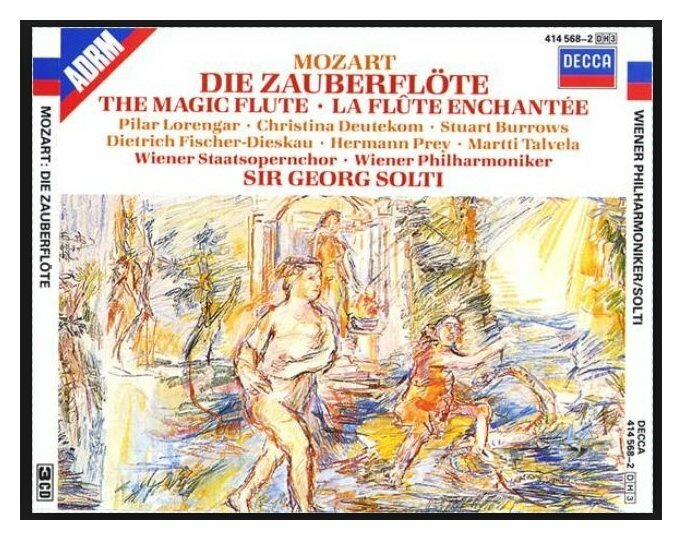 MT: Yes, and it began with this Magic Flute. You remember that Mozart wrote to someone that after a short time, young boys were singing those melodies on streets of Vienna. Hundreds of years later it happened again. It is really a beautiful production by Everding, and he came back again. The sets and costumes are by the Swiss designer Tony Businger. It’s lovely. It’s the scenery with walking golden trees, and nobody sees why they’re walking. They walk very logically for the piece. Every one of those trees has a man inside with a walky-talky, and he gets commands and then the tree walks! It’s funny and it’s intelligent, and non-sentimental. Just beautiful. BD: So the flute not only mesmerizes the animals but also the woods? MT: Yes, that’s right. That’s the magic! Another main point of the Festival is that we did for the first time in the history of the country of Finland, Don Carlos. We also did other things like Boris, Flying Dutchman, and we do every second year a new Finnish opera, like The Last Temptations by Kokkonen. It is his great opera, and that’s one of those recordings I did. BD: Is that a work that should be done, say, at the Met or in Chicago? MT: Now that would be something. That would be something, really. It needs an excellent production. You can’t do this work with some kind of gags or jokes. You have to take it seriously, and then it is a great, great human drama. But who does it elsewhere? Who will stage it? It has to be a very, very serious man, very human, deep human. BD: Would you ever consider staging it yourself? MT: [Laughs heartily] Ha, ha! Don’t ask me! But it is something unusual. And then we have The Horseman by Aulus Sallinen. 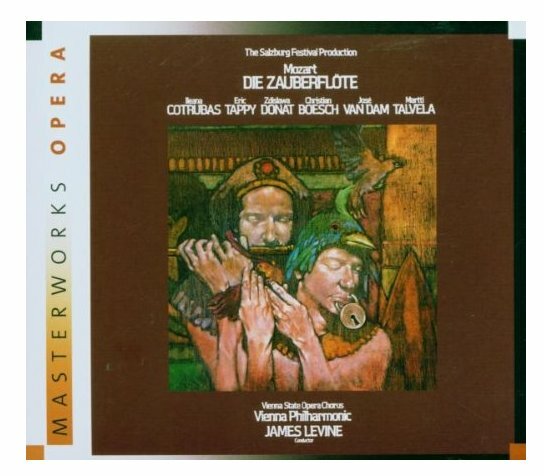 [This opera had its premiere at the 1975 Savonlinna opera festival. It was also performed in place of the first night of Boris Godunov on July 24th that season due to a badly inflamed foot injury to Martti Talvela (who was to play Boris). The cast and technicians, who were not contactable by phone, were gathered from day trips in the local countryside, and the conductor was flown by sea-plane from the Helsinki archipelago for a last-minute replacement evening. 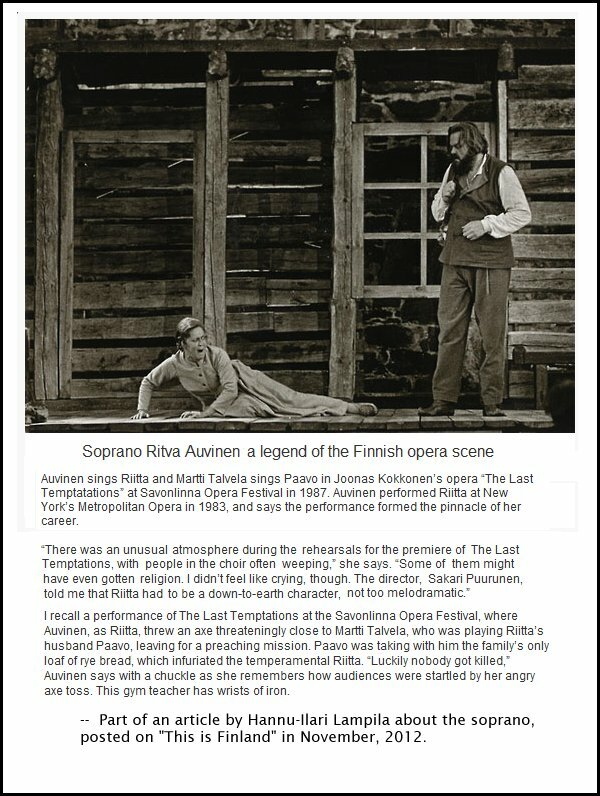 The opera was revived at the 2005 Savonlinna Opera Festival with Juha Uusitalo as Antti and Johanna Rusanen as Anna, conducted by Ari Rasilainen in a new production directed by Vilppu Kiljunen. A live recording of the premiere performance was released on LP by Finlandia Records in 1979, and later re-issued on CD by the same label. The opera was performed by the Savonlinna Festival forces at the Bolshoi Theater in Moscow in 2006.] Another is The Red Line which is also Sallinen’s work. BD: Isn’t Sallinen going to be in Santa Fe this summer? MT: That’s right, he’ll be there with The King Goes to France! That opera was ordered by me and Covent Garden, and now it is also going to Covent Garden next season. Then another new opera is coming up by Kalevi Aho. He’s the young composer who orchestrated Songs and Dances of Death for me. In two years’ time his new opera is coming out. He has already made one called The Key. It was done in Hamburg. BD: Now are these new Finnish operas strong enough to take their place alongside the great operas of the world? MT: Some of those, yes; I think The King, Red Line and The Last Temptations. Then we have one more, a very strong modern opera. The composer died twenty-five years ago, but still it’s a modern opera, and very beautiful called Juha. BD: Oh, by Aarre Merikanto? MT: [Surprised] By Merkanto, yes. How do you know it? BD: We had a production here at Northwestern University [February, 1985]. It was a very interesting work and I enjoyed seeing it. MT: [Sounding very pleased] Really? So you see what is happening in the modern opera world. I don’t know exactly what is happening because I have my own work to do, and it is mostly of the classic part of the music spectrum, but from what I know, I should say those operas could have a future. If somebody comes and says this is beautiful music drama, it’s there, and maybe there are more in many, many other operas. But if someone comes from the opposite side and says no, this is merely Finnish music, that’s so stupid. Music is international. MT: Right. Music is music. Basta! [Enough is enough!] [Both laugh] By that token you could say we cannot give Parsifal here in America because it’s so German! BD: I guess what we’re looking for is someone of your stature to lend an international quality to these national operas. MT: Well, the work with the government is very difficult in this, which I must openly say. There’s no way for an artistic person like me to do more than lead an opera festival or do those recordings. But then when you try to do something to the government, there’s so many people who are jealous about it. I may be too open, but in my opinion, the situation’s really done that way. Tell us about the success. It’s not my success! The success is there where the composer is! So I would like to do it but it’s not easy. BD: Let me turn the subject to trends in stage direction. We seem to be living in the age of stage directors. Is this a good idea, or are some of their ideas too far out? BD: It’s a delicate balance between the music and the stagecraft. MT: Yes. Wieland Wagner told this so often. He would joke that it’s so easy to stage music theater because the timing is already there. He didn’t mention this is the truth, but he meant it. The director must fulfill in acceptable time what is happening on stage. BD: Have you got some advice for young singers? MT: I used to have this kind of advice in my pocket, but not anymore because particularly we have here in America a very high level. What is the main thing? Techniques? Of course it’s very important, but techniques are only written to do something. Then you have to carry and project an artistic message, and if you don’t have this, there’s no need to be a singer. It’s a very tragic situation when you have a good voice but you don’t know what to say. BD: So you need to develop your heart as much as you need to develop your head! MT: Absolutely, if it is possible. Heart is important, and also your knowledge about everything in a human being’s life. BD: This is one’s understanding? MT: Understanding! Then this will burn in your body and in your soul. Nobody can come and tell you that you cannot be a singer, because this burning brings you to singing and to this very difficult life. BD: How can a young singer get more understanding? MT: Basically, a young singer has to have this beginning of the message already in the very early situations in the career, when the learning time is under way. The teacher can give you some help, but the interest to human beings who live on this earth has to be in his own body. I hate empty singers. Well, I don’t hate anybody, but I mean empty singing won’t give you anything! That is just a beautiful voice and techniques, and then they don’t have anything! We have to have something. We have to fight for that, and we have to find it, and learn to give it. This is the sorrow in our soul when we feel the time passes and we don’t have very much time anymore, and then soon there will be Gurnemanz waiting for another king! [Both laugh] That’s it! I would ask a young singer why he would like to be a singer, and if the answer is, “Having a good job,” then forget it! BD: Tell them to go and be a banker, or something? MT: Yes. There are many beautiful places in this world. This is a profession of pain. BD: Are we losing the tradition of the theater? MT: Yes, we’re losing it in this time. This time changes so fast. We are losing it at the moment, but it should not mean that we are losing it forever. This is such a kind of richness, it cannot go forever. The most dangerous point in today’s singer’s life is this losing of this tradition. A writer wrote a book about Beniamino Gigli, and the book’s claim was ‘Un’anima cantava!’, ‘A soul sang!’ Hear him, or Jussi Bjorling particularly, or Ezio Pinza or Alexander Kipnis. ‘Un’anima cantava!’ It was the soul singing, but with all the pain from this life and all the humanity in this life. I have a recording at home of Jussi Bjorling in his first concert at Carnegie Hall in 1936, and I must say I have to cry. It’s so beautiful. It’s not the same as his technique later, but his soul was there. [Pauses a moment and then muses] I said I didn’t have any answer for this question, but now I answer it! BD: Yes, you certainly have! You have opened your own soul to some of my questions, and we do find this ‘anima’ in the artistry of Martti Telvela. MT: I cannot criticize. For me, life without this would be empty. BD: Thank you for being a singer, and thank you for spending the time with me this afternoon. MT: Nothing at all! It’s been a pleasure. Thank you, Bruce. To read my Interview with Norman Bailey, click HERE. To read my Interview with Janis Martin, click HERE. To read my Interview with Anja Silja, click HERE. To read my Interview with Régine Crespin, click HERE. To read my Interview with Jon Vickers, click HERE. To read my Interviews with Thomas Stewart, click HERE. To read my Interview with Joan Sutherland, click HERE. To read my Interview with Marilyn Horne, click HERE. To read my Interview with Arleen Augér, click HERE. To read my Interviews with Yvonne Minton, click HERE. To read my Interview with John Shirley-Quirk, click HERE. This conversation was recorded on the telephone on April 13, 1986. Portions were broadcast on WNIB in 1990, and again in 1995 and 2000. This transcription was made in 2015, and posted on this website at that time. My thanks to British soprano Una Barry for her help in preparing this website presentation.